Upon the sudden departure of her husband, Teresa embarks on a mission to find out what happened. Instead of finding answers, her mission uncovers the feelings and desires of a whole town, a town where its people have grown up with bitterness towards others. Family members desert each other, soldiers intimidate residents, stories of mysterious deaths are frequent, and the sense of abandonment hidden in everyone is constantly present. Blending fiction and documentary, Verano de Goliat depicts the feelings of the town's residents by showing moments from their daily lives. 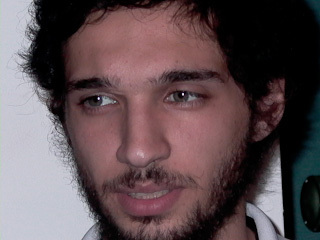 Nicolás Pereda was born in 1982 in Mexico City. Working with many of the same actors for most of his films, his projects have been shown in festivals such as Venice, Rotterdam, Toronto, Oberhausen, San Sebastian and others. Verano de Goliat is his fifth feature length film.